Heal your thyroid with the Paleo diet! If you've been diagnosed with the autoimmune condition Hashimoto's thyroiditis, you know how difficult it can be to improve symptoms. However, scientists are discovering ways to address this disease without resorting to prescription drugs and synthetic treatments: through the Paleo diet. By using functional medicine and healing foods, you may finally find relief! 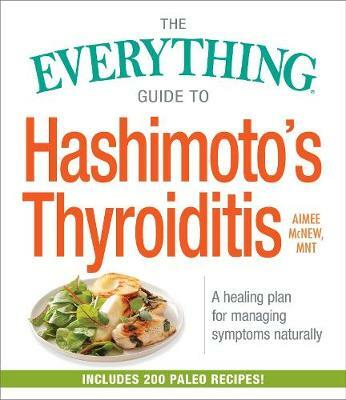 In The Everything Guide to Hashimoto's Thyroiditis, you'll discover the causes and symptoms, as well as the link between gut health and thyroid health. You'll learn exactly which foods can help improve your condition and which ones exacerbate problems. This all-in-one health guide features meal plans, 200 nutritious recipes, and easy tips for transitioning to the Paleo lifestyle--so you can improve your well-being and heal your body naturally.